Thanks, but what luck? Chess is stripped of that frivolity; it’s the canonical no-chance, perfect information game. That nakedness is why boxing is a good analogy to chess: two people battling in a confined space with nothing, not a shroud of randomness or the fog of war, to hide behind. 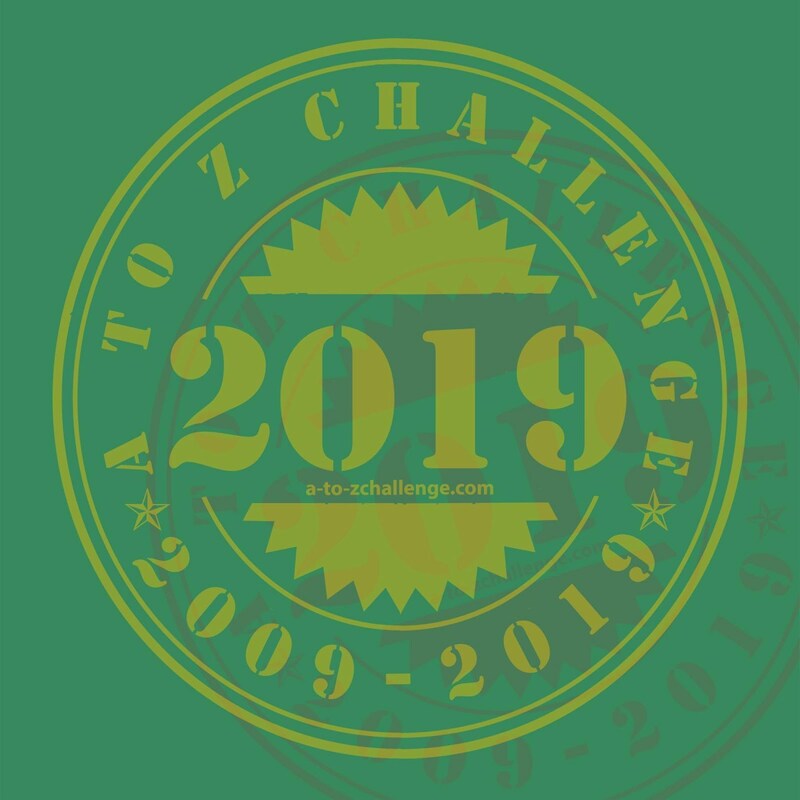 I once beat the Scrabble national champion (in Scrabble, not chess), but that was only because a) I sort of knew what I was doing and b) there is luck in that game that I could hide behind. I got lucky. Awaiting the world chess champion, I harbored no such idiotic delusions as I sat at an enormous horseshoe table, fretting and adjusting the pieces. 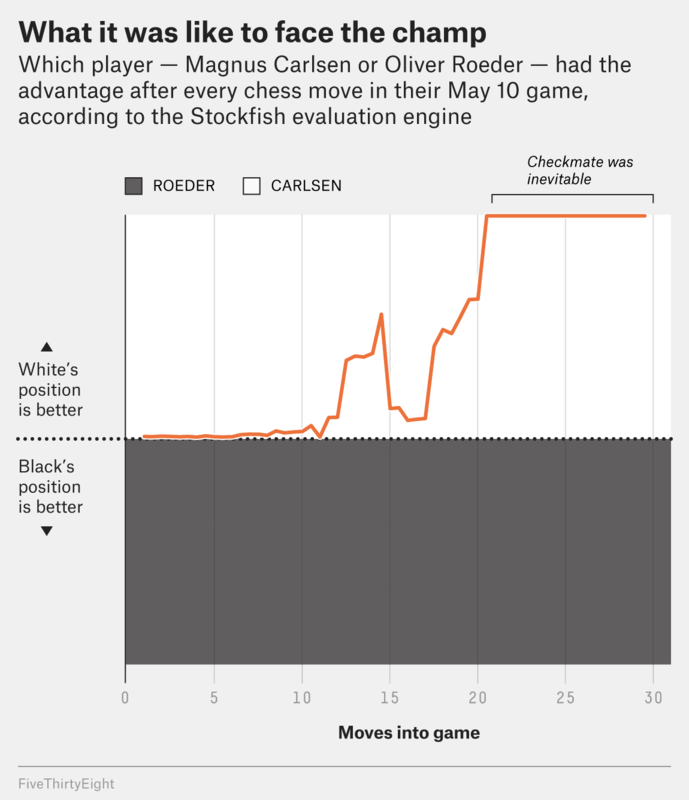 Carlsen was about to do to my psyche what Mike Tyson would’ve done to my face. There was no escape. 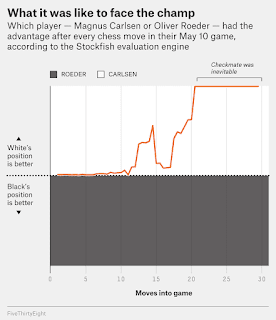 Roeder ran his and Carlsen's moves through a chess engine called Stockfish, which estimates who is likely to win based on every position in the game. And you can watch and move-by-move replay of the game here. Chess is such a fascinating game. I used to be able to play many years ago but I've forgotten over the last couple decades. One of my goals this year is to relearn.